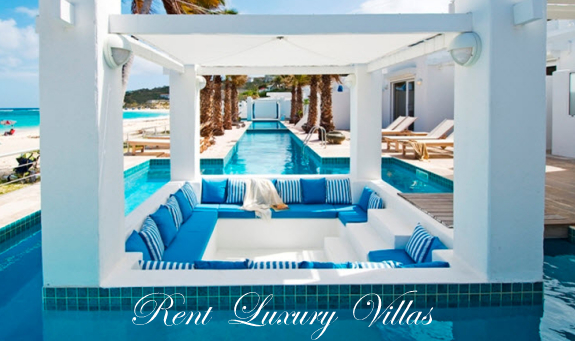 Destined to be one of our most popular rental villas Just in Paradise offers breathtaking views from the main terrace reaching from La Samanna at the far east end of Long Bay Beach all the way over to Plum Bay Beach and spectacular sunset vistas. Pristine, fully air-conditioned luxury awaits you in one of the newest 3 bedroom vacation villas in the prestigious gated community of Terres-Basses. The layout takes full advantage of the villa’s visual assets. Deep covered loggias, supported by soft grey concrete columns, and sunning terraces flow around the house. Dining and lounging areas are strategically positioned to observe the view. The stunning infinity pool coils like a nautilus shell into an infinity jet tub. The design and décor of Just in Paradise was inspired with the discerning traveler in mind. The contemporary furniture is comfortable, the “pop art” is visually stimulating, the kitchen is high end and functional, and the infinity jet tub (not heated) flowing into the giant infinity half-moon pool is absolutely spectacular. The interiors seamlessly connect with the exterior spaces. Floor to ceiling glass pocket doors open completely to the outside. The spacious open plan living and dining room, with unusual high vaulted ceilings, belongs in a design magazine. Sleek, elegant furnishings in grey, taupe, and cream are accented with pops of color. Vibrant modern art appears in every room adding visual interest. A modern gourmet kitchen opens to the view, connecting the chef with the guests. The three bedrooms are equal in size, spacious, and comfortable. Each room has private indoor and outdoor seating. The décor is clean and modern, schemed in taupe, grey and white each room with an individual color scheme. The spa bathrooms are stunning in tumbled travertine, Indonesian river rocks and sleek fixtures. Walk in showers flow into outdoor showers with sea views. As you enter through the large silver gray gates of Just in Paradise you catch a glimpse of the villa, pool, and incredible view all at once. A winding driveway bring you around the side of the villa to the main entrance where a walkway bridge is flanked by two water features and the double door entry draws your eyes through the living room, over the pool, out to the view of the Caribbean Sea. This is where you’ll say ... “WOW, what a view!! 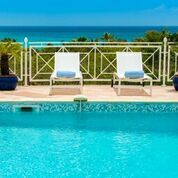 The open pool deck area is one of the largest on the island – equipped with comfortable chaises lounges, red umbrellas, and side tables. For those seeking shade there is a covered part of the terrace between the living room and the open deck where you can enjoy the open air under shelter. The extra large jet tub and infinity pool have to be seen to be believed. The gradual entry into the pool is perfect if you just want to get your toes wet – or jump right into the deep end for a quick cool-off. The views from the pool (and anywhere in the villa for that matter) are unbelievable. And last but not least, as if the main level views weren’t enough, a roof top bar and lounge is an inviting spot to greet guests for a cocktail, enjoy a sunset, or relax with a book under the pergola providing partial shade. The 360 degree views from this upper deck are hard to beat. The rectangular air-conditioned living room provides two seating areas: one focused on the large flat screen TV and the other closer to the bar for casual conversation over drinks. A powder room is located just off the living room for your convenience. One of the best features of this room is the ability to transform it into an indoor/outdoor space by opening the full length sliding glass doors that pocket into the side walls allowing easy access to the large terrace. The air-conditioned kitchen is accessed through a doorway from the living room or directly from the outdoor dining area and terrace. The black counter tops are a sharp contrast to the stark white cabinetry and the two large refrigerators. The island in the center of the kitchen is where you’ll find the stovetop and a very cool bonus feature: a "Teppanyaki" grill. Again, every detail was thought through including a pass-through window from the barbeque area to the kitchen. The three separate air-conditioned bedrooms are equally sized and all offer amazing views and have direct access through sliding doors onto the large pool deck. All bedrooms are outfitted with king bed, side tables with lamps, a desk, large mirror, and a unique pop art piece that delivers the color scheme for the room. The large outdoor dining table offers seating for 8 under cover and with a constant light breeze to keep you cool. Enjoy casual breakfast and lunch or a formal dinner looking out at the passing cruise ships at night with bright stars above. Ensuite bathrooms with double vanities, indoor and outdoor showers (the indoor showers have cool colored LED light effects). 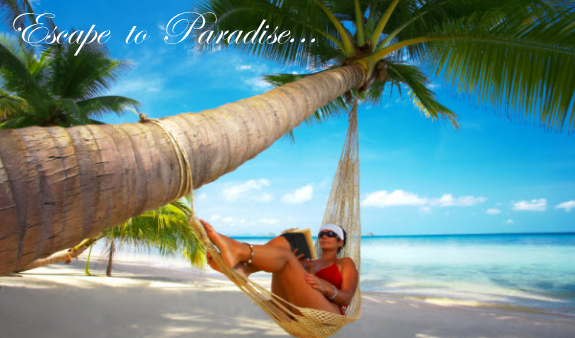 Please call for current availability of Just in Paradise. This property is available year round for any date it is open. If this unit is not available we may have comparable properties that are available for your dates... Call 800 480 8555 for up-to-date availability. 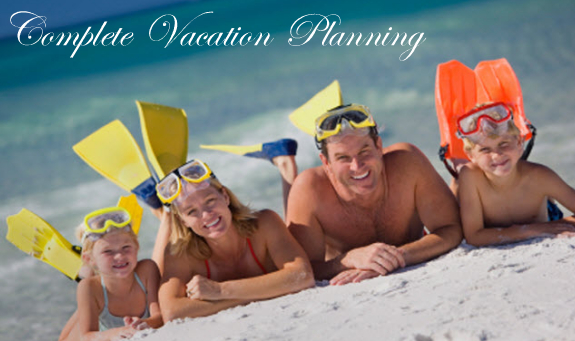 Minimum Stay 7 nights in high seaon, 5 nights in low season (7 nights Thanksgiving Week) and 2 weeks at Christmas.